Copiers are a huge part of your daily workflow--but did you know they should also be a huge part of your security? Let's find out how to secure your copiers (and what might happen if you don't)! The scary truth about copiers is that they've been overlooked in so many security processes that hackers have started to target them first. That's right: if your copier isn't protected, the digital bad-guys will know exactly how to access your data and wreak all kinds of havoc. Luckily, you don't have to get rid of your copiers in order to stay safe both online and offline. Just find security solutions that protect your machines without sacrificing efficiency, and you're well on your way to a perfectly fortified workplace! Tip #1: Don't underestimate passwords. Passwords seem like such a simple answer to today's security threats, but the truth is that a long, complex password can make a huge difference. Remember not to leave passwords lying around anywhere, and always change them regularly to achieve maximum security. Since copiers store all of your data on hard drives, it's important to make sure only the right people have access. You can "hide" copiers from any network users without the right credentials--and if hackers don't know your copier is there, they won't try to attack it. Tip #3: Always do the updates. Is there a software update that you've been putting off because it's irritating or because it will take too long? You've forgotten the most important rule of copier security: always do the updates! Updates are designed to eliminate vulnerabilities in your copier's software--and if you don't update, hackers will know exactly how to gain access to your device. 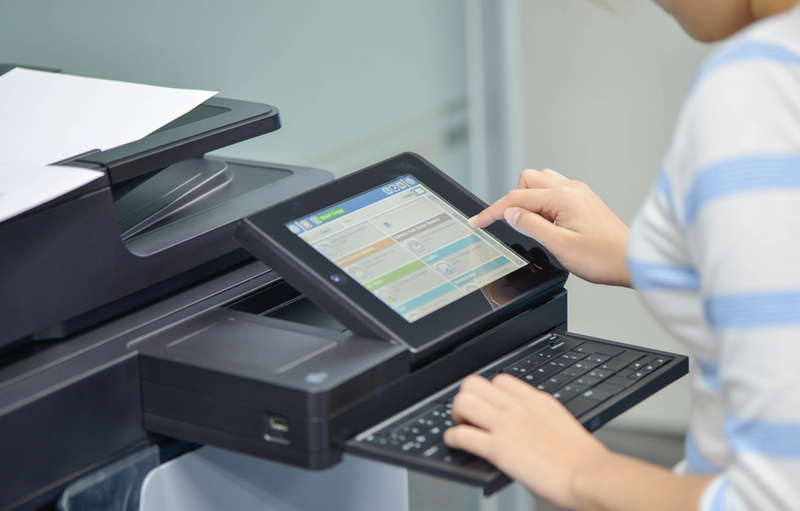 Want to learn more about copiers and how to secure them (without sacrificing efficiency)? Contact us today!